If Americans recycled the 130 million cell phones we throw away every year, we would save enough energy to power some 24,000 homes. Photo: Roddy Scheer. With a record four million pre-orders for Apple’s best-selling iPhone 6 and iPhone 6 Plus, it’s more evident than ever that consumers want the latest in smartphone technology at their fingertips. A new report by analysts at German market research firm GfK determined that global smartphone sales exceeded 1.2 billion units in 2014 — a 23 percent increase over2013. With so many new smartphones and electronics being purchased, are users disposing of their older devices properly? According to U.S. Environmental Protection Agency (EPA) data, approximately 2,440,000 tons of electronics, such as computers, mobile devices and televisions, were disposed of in 2010. Twenty-seven percent, or 649,000 tons, of that “e-waste” was recycled. Because some materials in electronics, such as lead, nickel, cadmium and mercury, could pose risks to human health or the environment, the EPA “strongly supports” keeping used electronics out of landfills. If Americans recycled the approximately 130 million cell phones that are disposed of annually, enough energy would be saved to power more than 24,000 homes in a year. If we went ahead and recycled one million laptops, too, we would save the energy equivalent to the electricity used by 3,657 U.S. homes in a year. Furthermore, for every million cell phones we recycle, 35,274 pounds of copper, 772 pounds of silver, 75 pounds of gold and 33 pounds of palladium can be recovered. Recovering these valuable metals through recycling precludes the need for mining and processing that much new material from the Earth, thus not only conserving natural resources but preventing air and water pollution as well. 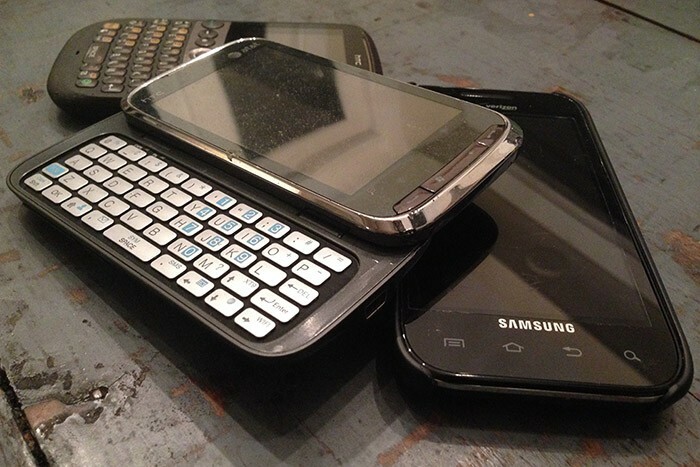 Thankfully, recycling old smartphones and other electronic devices is an easy, typically cost-free process for consumers. Electronics retailer Best Buy offers the most comprehensive appliance and electronics recycling program in the United States, with more than 400 pounds of product collected for recycling each minute the stores are open. Best Buy offers free recycling for most electronics and large appliances, regardless of where they were purchased, allowing the company to achieve its ambitious goal of recycling one billion pounds of electronics and appliances by the end of 2014.